The L'Avenir townhomes in Fort Collins will be built to meet green construction standards. Rendering courtesy Davis Davis Architects. FORT COLLINS — The first luxury homes in Northern Colorado to receive ZeroEnergy, WaterSense, and EPA Indoor airPLUS certifications are now under construction at 221 E. Oak St. in Fort Collins. 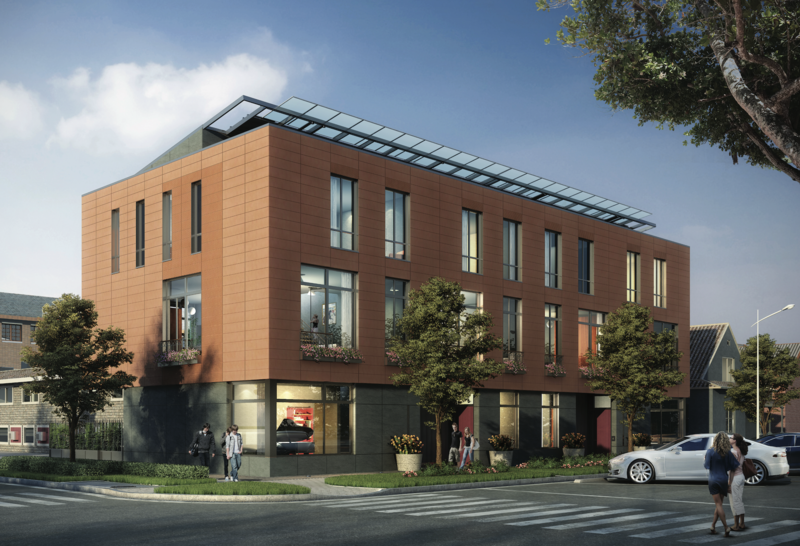 The townhomes, called L’Avenir, will be powered by solar energy and geothermal wells. The building enclosure is super insulated and virtually airtight, making for comfort year-round. The project is designed by Davis Davis Architects of Fort Collins. Robert and Laurie Davis are listed in county property records as owners of the site, purchased in 2017 for $400,000. The townhomes will be built by Philgreen Construction. The Group Real Estate is marketing the four units at the site, which will be complete by spring 2020. As noted on the architects’ website, the green-inspired project suggests that owners of the units will share an electric car among themselves.